Plain and simple, the XC25 will make you reassess your definition of home comfort and set the bar at a level you didn’t know was around. Being an industry leader in efficiency is a label that the XC25 proudly dons, and one that comes with high expectations from its performance. Luckily, with the power of Precise Comfort technology it is providing new levels of home comfort and efficiency. 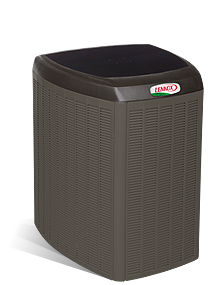 Ready to find out how the XC25 Air Conditioner can make your home more comfortable year round? Need help with a gas furnace repair or want to schedule a gas furnace maintenance visit? We can handle it all. Our staff is trained, experienced and ready to help. Make an appointment or call 740-594-8381 for Athens or 740-654-4328 for Lancaster now.